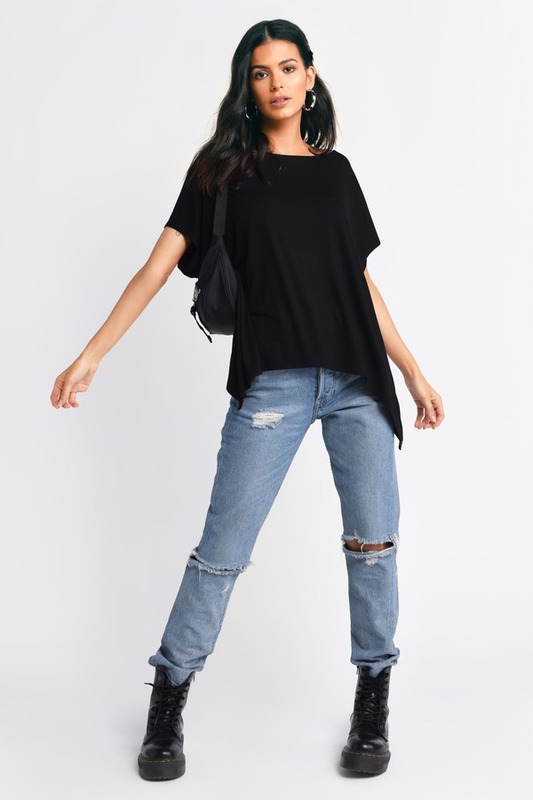 Check out Tobi's Skippy Shark Bite Tee Laid back vibes in the Skippy Shark Bite Heather Grey Tee. 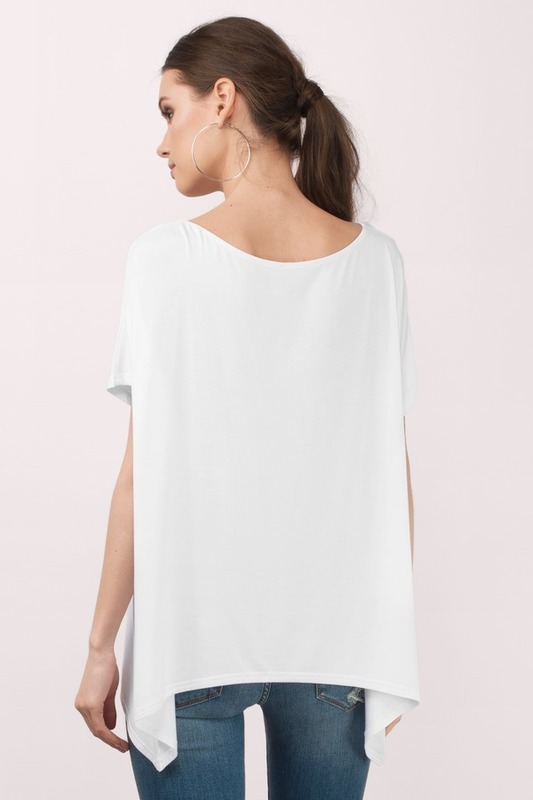 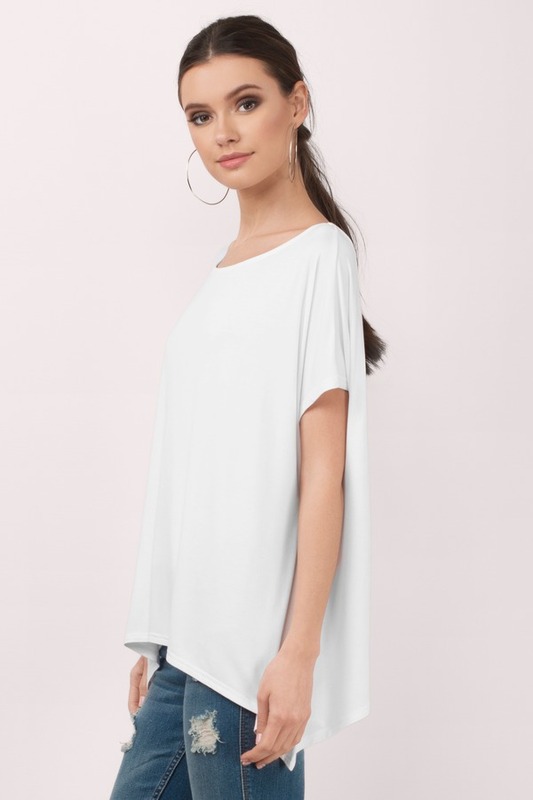 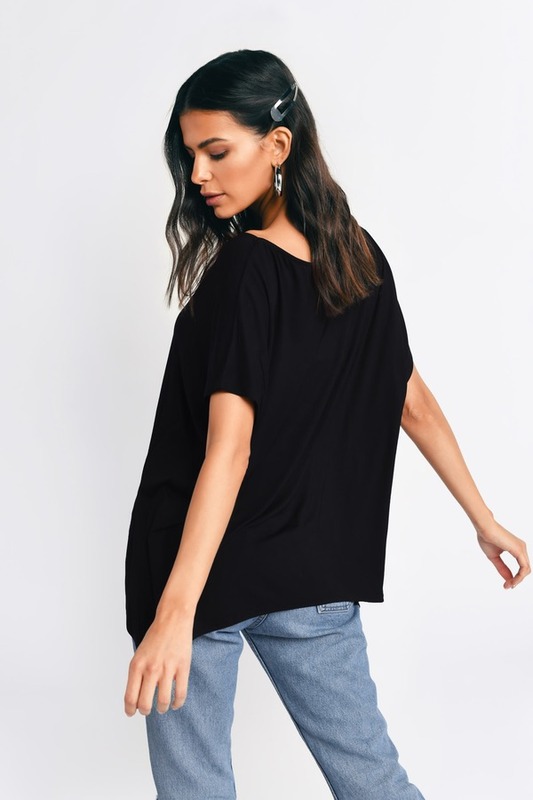 It's a basic tee with a wide scoop neck, loose cap sleeves, and a free falling asymmetrical hem. 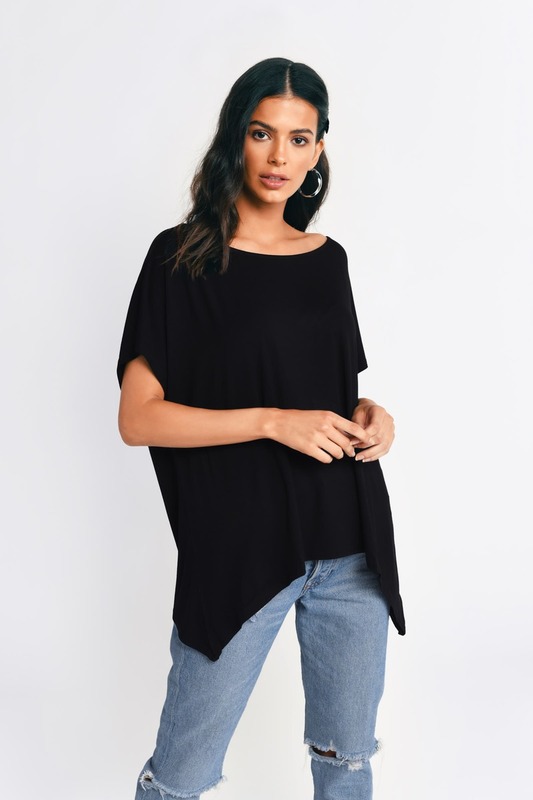 Something casual to throw on when you want to stay comfy chic, pair this asymmetrical shirt with ripped shorts and you're set.